I've been venturing out into the creams lately - cream contour, cream blush, highlight etc. And now, cream eyeshadow. Working with creams can be quite tricky, because they are often long-wearing and dries down fast, which means you gotta start blending really quick before it settles down into uneven, patchy blobs. 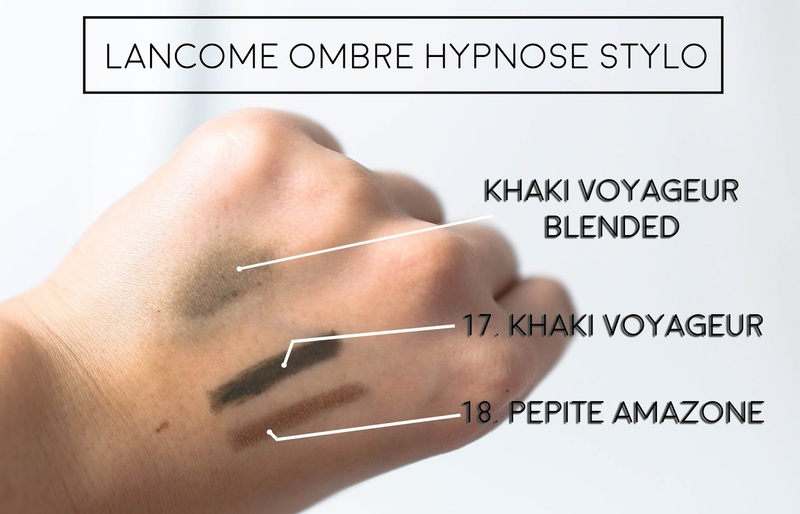 I've been playing around with these Lancome Ombre Hypnôse Stylo cream eyeshadow sticks ($33) a lot recently, especially since these 2 shades - Khaki Voyageur and Pepite Amazone from their summer 2016 collection is so fall appropriate. These come in twist up sticks form, a breeze to apply and travel around with. I've been introducing a pop of unique colour with my Khaki stick and been having so much fun with it, as it is a super gorgeous shade, especially when paired with outfits that are in the same green color family. Pepite Amazone on the other hand, works amazing as an all-over-the-lid eyeshadow colouur, or even as an eyeshadow colour for the outer third of the eyes. 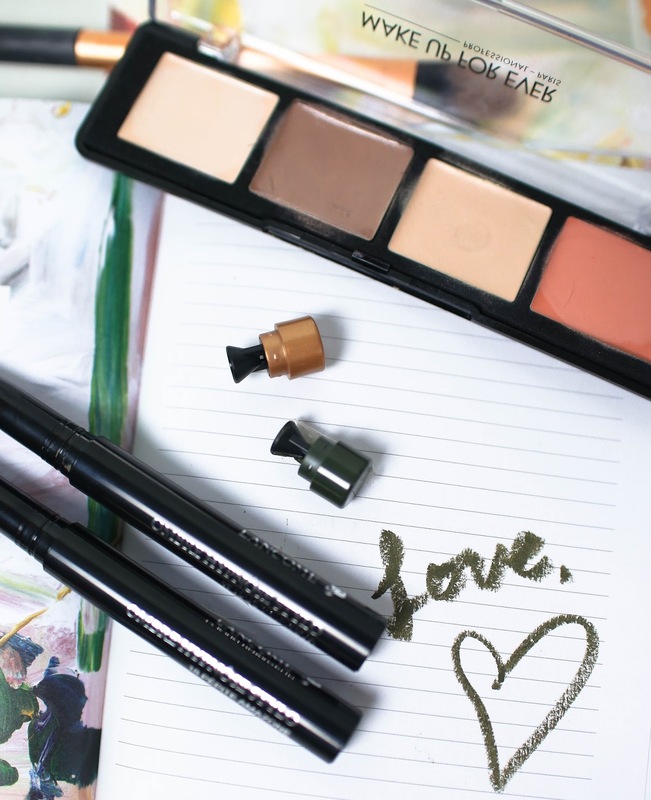 Overall, these are super handy, pigmented, smooth and really gorgeous. 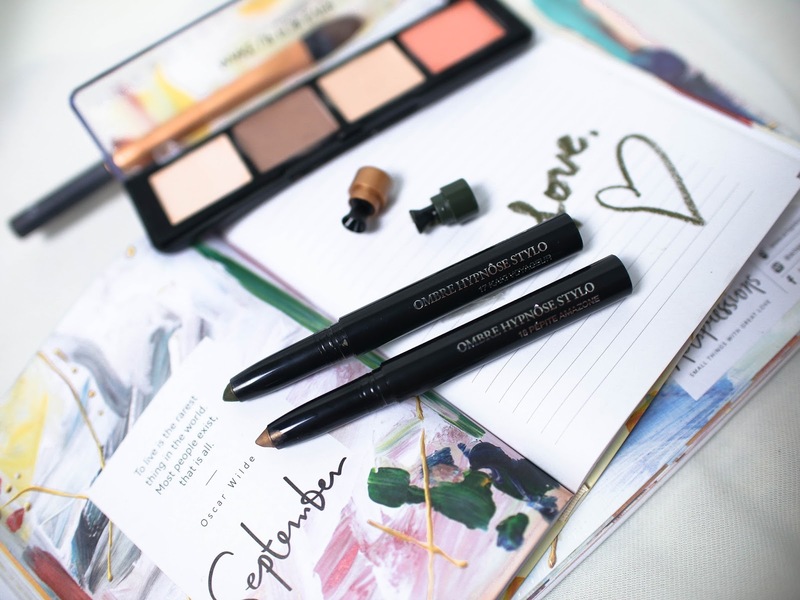 They are also multi-purposed, and I love to use them as eyeshadows, eyeliners and sometimes even as eyeshadow base on days I go for bolder looks. The downside would probably be that this product may be a little intimidating for the makeup beginners as it tends to settle down quite fast. When used as an all-over-the-lid colour, you may sometimes notice uneven patchy-ness if not worked on quick enough, and using a brush may even leave a bit of streak marks. Fingers are highly recommended for this product. Otherwise, it's an amazing product! For cheaper options, Etude House also does similar eyeshadow sticks - The Bling Bling Eyestick as well as the Play 101 Blending Pencils. However I must say that the Etude House ones are mostly geared towards eyeshadow application, so they are more blend-able, less pigmented and also lasts for a significant shorter period of time. You wouldn't be able to use them as eyeliners as well, imo. Hope you guys enjoyed this little make up review ! Let me know what other products you would like me to try and I'll do so for you guys!